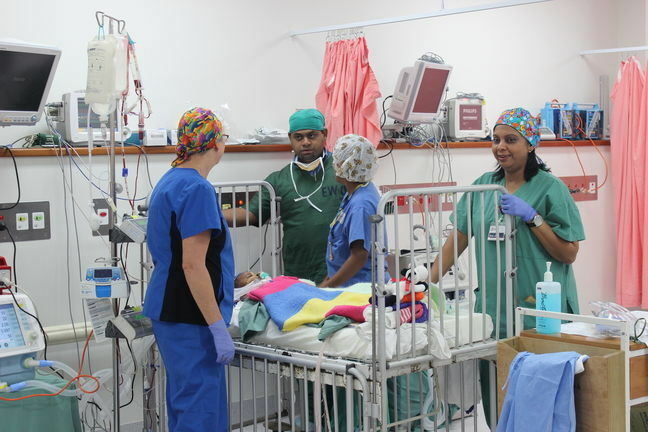 Have you ever wondered what’s its like to work as a volunteer ICU nurse in an overseas country? 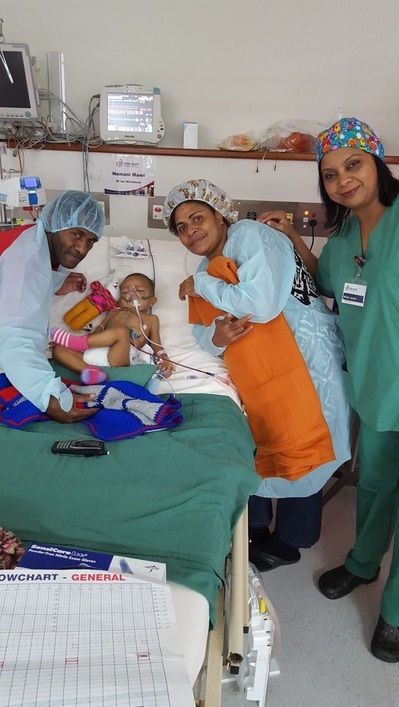 Where you are surrounded by amazing selfless individuals and anxious but very happy patients and their parents?That’s the experience and fulfillment volunteering with Open Heart International gives! The emotions felt can’t be compared with anything else. My name is Maizy Jamal and I am an ICU nurse based in Adelaide. This is my second time with Open Heart International, and first time with the team in Fiji. Earlier in the year when I was asked to join the Fiji team, the excitement I felt began immediately, and as the journey towards our May departure continued I anxiously waited. 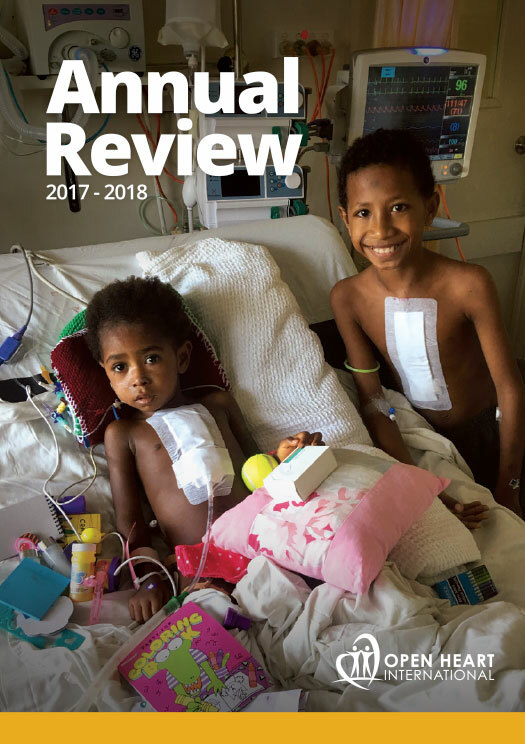 Being Fijian born, this project is very close to my heart. Some say while we move away from a country, we shouldn’t forget. Every little difference we make will be with them for a lifetime. 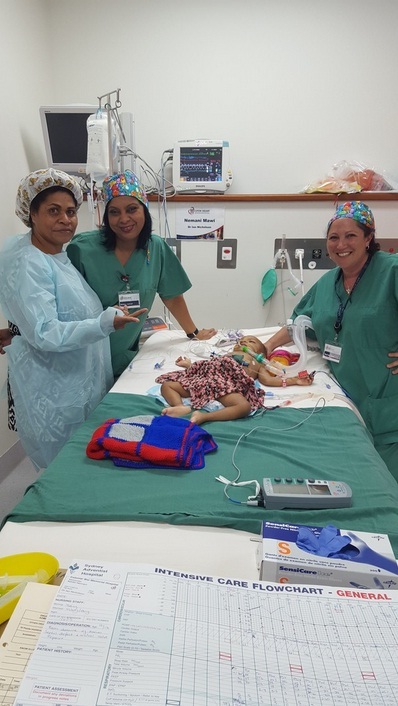 There are certainly challenges here in Fiji such as the different equipment used, but that all subsides when you see a Mum’s teary eyes when seeing her child after surgery. I am not a paediatric nurse, but there is something special about having the opportunity to nurse kids on a trip like this. They are super gorgeous and yes I do get to cuddle them! I feel like they are my adopted kids!! I still get emotional getting hugs from parents, and a simple thank you means much greater than getting a box of chocolates. If you are thinking about volunteering, and trading your paid job for a week of adrenaline filled fun and great memories, please sign up with Open Heart International! I assure you it will be the best decision. I will take with me beautiful memories of those long lashed eyes of kids I cared for and the happy smiles of all patients and their parents. Fiji, you are always in my heart!